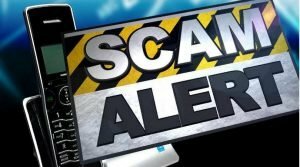 It has been brought to our attention that there has been a scam going on in the area with phone calls to homes posing as the local Volunteer Fire Company asking for donations. Please know that we do NOT do any sort of fund raising over the phone! If you receive any of these types of calls, please notify your towns police department and inform them. Thank you! !